Eugene V. Debs NPR coverage of Eugene V. Debs: A Graphic Biography by Noah Van Sciver, Paul Buhle, and Steve Max. News, author interviews, critics' picks and more. 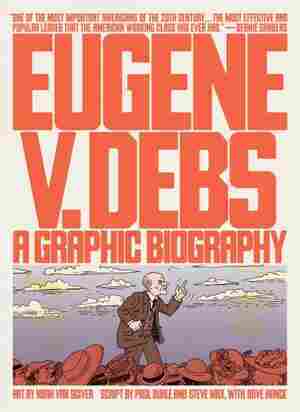 Graphic biography of American radical, labor leader, and socialist Eugene Victor Debs, who led the Socialist Party to federal and state office across the United States by the 1920s. Imprisoned for speaking out against World War I, Debs ran for president from prison on the Socialist Party ticket, receiving over one million votes.